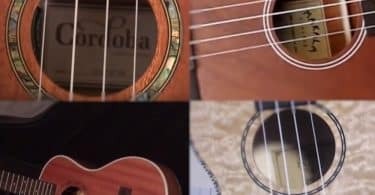 Best Soprano Ukeleles Review: 5 Top-Rated in April 2019! There are many types of Ukuleles, which are lute family instruments. The options to choose from are soprano, concert, tenor, and baritone, and they come in a number of configurations including four nylon or gut strings or four courses of strings. Some ukulele string configurations are paired giving the instrument a total of six or eight strings. 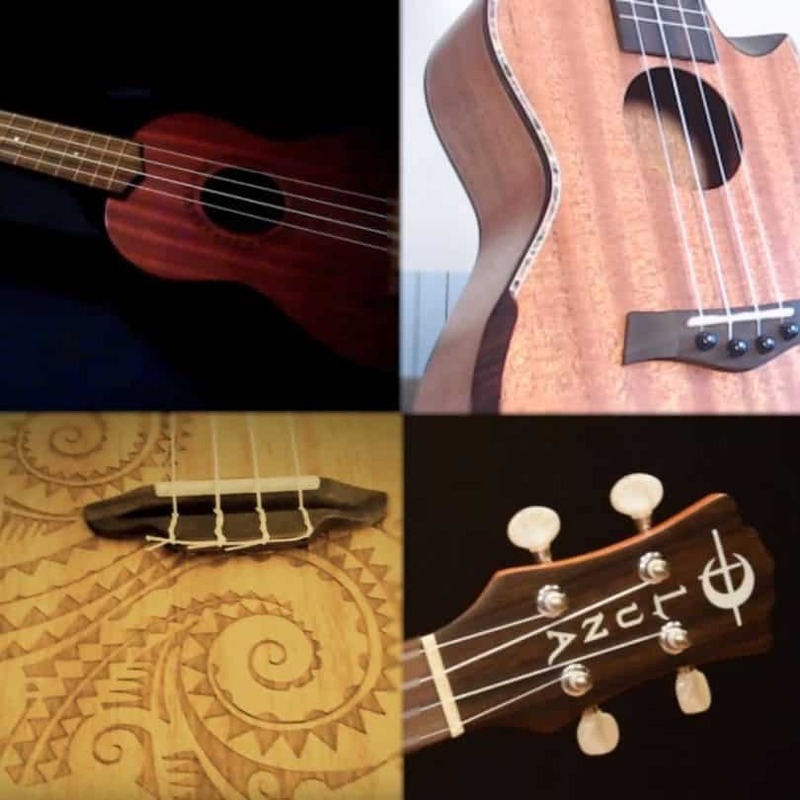 Now let’s take a look at the five best soprano ukulele’s on the market today. How To Pick a Soprano Ukulele? This is the Kala KA-15S Mahogany Soprano Ukulele made from mahogany with walnut wood. 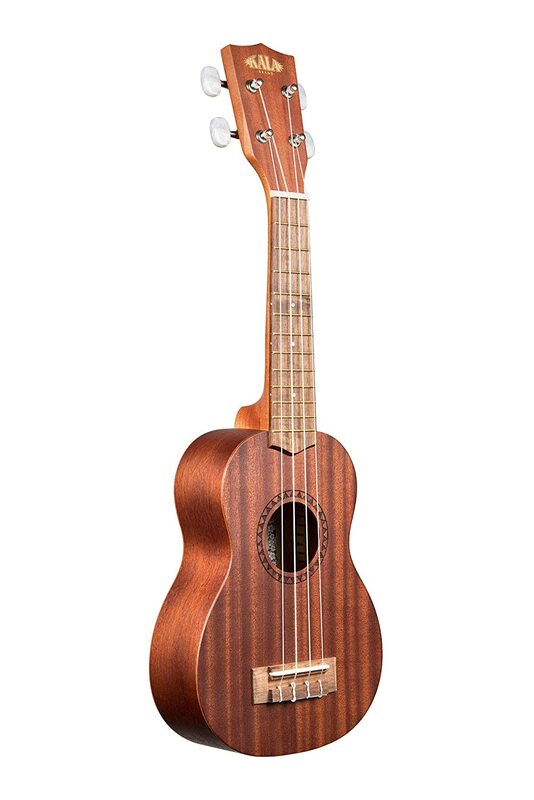 The Kala KA-15S is an exceptional soprano Ukulele model, it were a classic design and built for all level of players. This Uke is made from mahogany wood and comes with a satin finish. The fingerboard is walnut wood, and the nut and saddle are crafted out of GraphTech NuBone®. This model comes with a standard headstock, and the strings are Aquila Super Nylgut®. The overall dimensions are a 20.875” long instrument, so it’s one of the larger soprano ukuleles on the market and is perfectly suitable for youngsters and adults. This is an exceptional model and comes with some fine features, most prominent being its versatility for use in the hands of novices and professionals alike. This is the Donner Soprano Ukulele Mahogany DUS-1 21” made from mahogany with rosewood. The Donner DUS-1 Ukulele is an exceptional all-round uke. 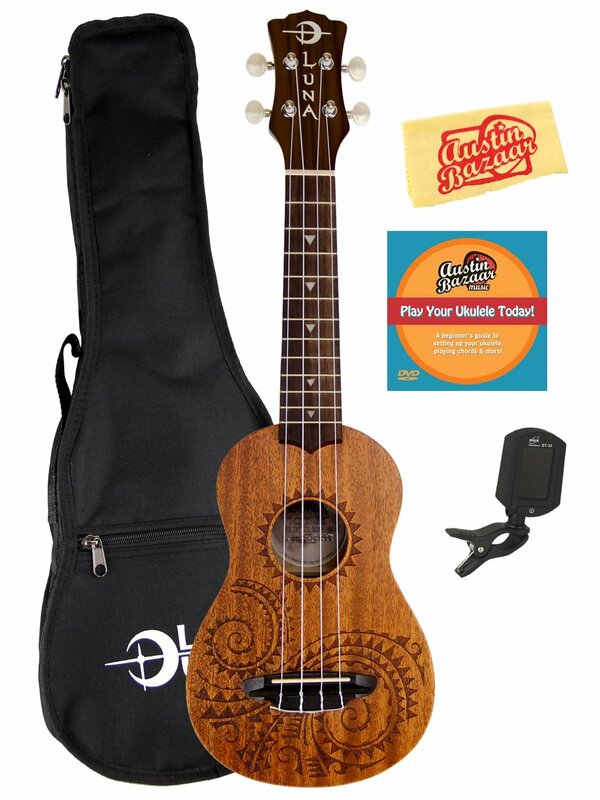 It is both a beginner model as well as a versatile professional ukelele for everyday use. This model is made from handcrafted mahogany wood and is built to last, with rosewood fingerboard and bridge and comes with their chrome-plated guitar style tuners. The DUS-1 comes with 15 Brass Frets and has Fret position Marks set at 5th, 7th, and the 9th on the neck, with the 12th fret on top of the fingerboard. This model is designed as a high-end instrument with wood that was carefully chosen and crafted to withstand moisture and tropical atmospheres, delivering perfect clear tones all the time. 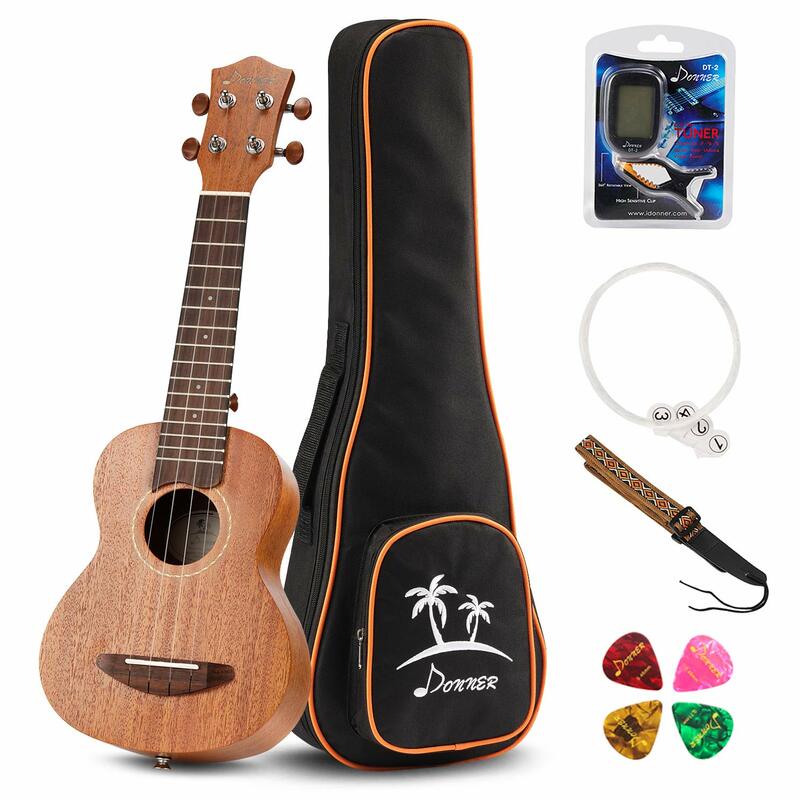 Included in this package are a ukulele bag, ukulele strap, carbon nylon string, and digital clip-on tuner, ukulele picks as gifts. This model provides you with a very clear yet rich tone, it has good clear vibe control, and the strings and frets are designed to be smooth and easy for use with young fingers. This is a great package, and I personally recommend this to all novices that want to start out with a classic soprano uke. This is the 21” Lico Soprano Ukulele made from Sapele (mahogany) wood. 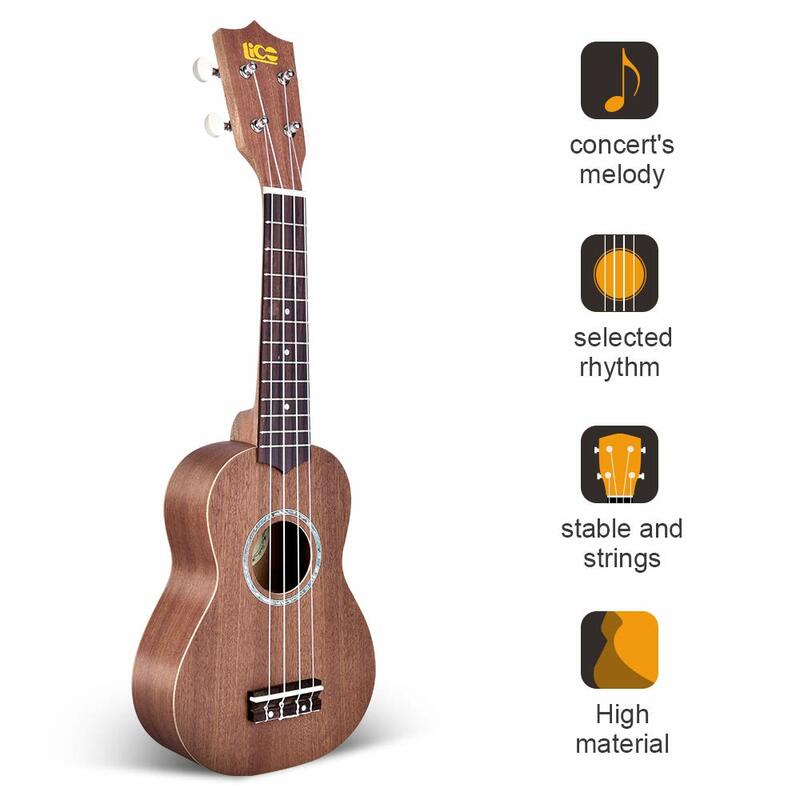 This is a beginner’s uke and comes with some amazing features. To start off with, the Lico is a soprano ukulele that is 21” long, so it’s designed as a perfect fit for musicians of all ages. The body and sides are made from Sapele wood, which is a type of mahogany, this gives you rich and clear tones. The Lico comes with 15 tuning gears and has a specially designed bridge that makes the frequency sampling smooth and rich. You also get top quality soft nylon strings and are designed for soft young hands as well as a hard performance from professional hard fingers and picks. The frets are coated with an anti-corrosive coating; this prevents scratching and structural damage. The bottom line is that this is a small, classic soprano guitar that is perfect for beginners and great for professionals. Classic 21” small size and lightweight. A great beginner kit provides you with a rich and clear tone. This is the 24” Lohanu (LU-S) Soprano Ukelele made from Sapele Mahogany wood. 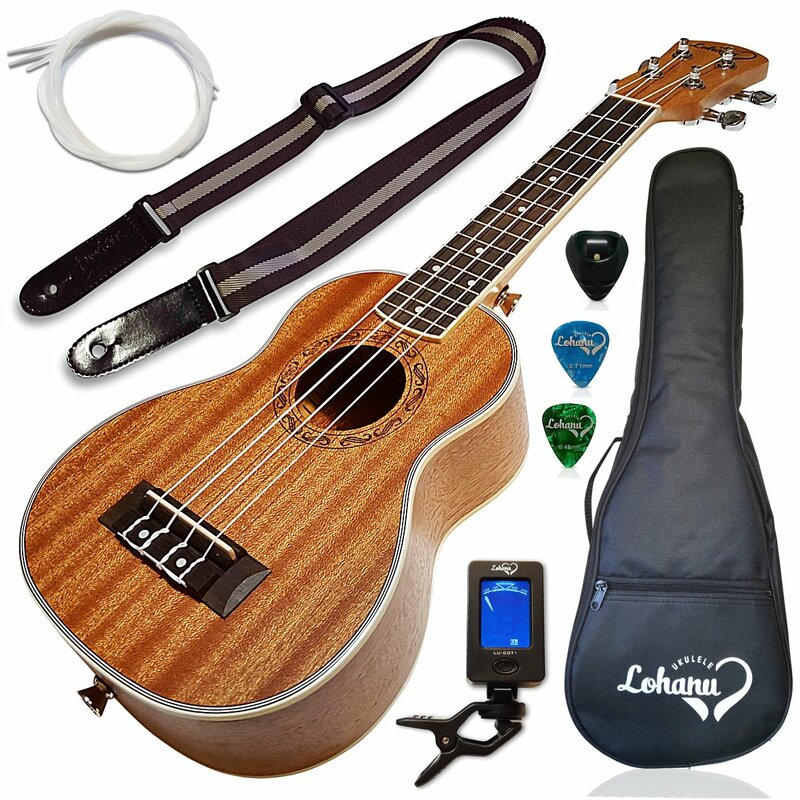 When it comes to exceptional deals, the Lohanu LU-S is one of the leading soprano ukuleles in the business. This large package, the largest size for a soprano uke, is designed for children aged 9 years and up. The LU-S is made from Sapele mahogany wood and comes with a rosewood fingerboard, handmade ABS bindings and chrome die-cast tuning gears with Aquila Nylgut® strings. This combination of materials and design provide an easy to manage to learn uke with perfect pitch and tone. This is an extremely convenient kit, with a lot of accessories and is another exceptional beginner’s buy. As a 24” uke it is more suitable as an instrument for novices to learn on. The Luna Tatoo is a unique instrument in the world of Uke’s, it is designed for beauty as well as for performance, and comes with the simplest of lines, but the expressive design and perfect cord harmonics. This is their soprano model and has a 13 ½” scale length that sits perfectly in young and old hands alike. The body comes with traditional Hawaiian ornamentation that is laser crafted into the wood using a darker wood inlay into the lighter mahogany body. The pattern is a classic Hawaiian design that shows off the sea, the waves, the mountains and life in Hawaii. The mahogany body with rosewood fretboard combines in perfect harmony to deliver rich and clear tones. There are 12 frets, and the nut is made from OEM graphite, and the MOP inlays are made from actual shark teeth. The tuners are an open gear in design, and the knobs and hardware are made from chrome and pearl with a rosewood bridge and a natural satin finish. This is a professional model, sure you can learn on it, but its built for performance, and provides the ultimate combination of design, simplicity and performance grade tones. The original ukulele was the soprano. 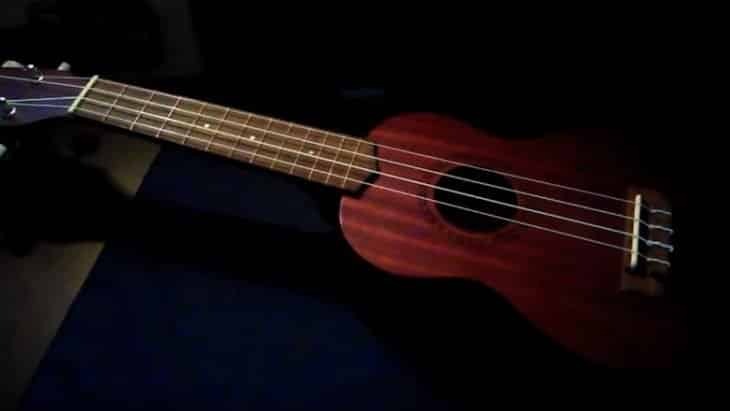 The soprano uke is the smallest instrument in the family and it comes in a length that ranges between the 13” small (and popular) to the 21” used frequently by new students to the instrument. The soprano ukulele is considered to be the original light sound associated with many songs, and famous uke players such as Israel Kaʻanoʻi Kamakawiwoʻole, the late and famous Hawaii’s best uke player that came to fame with his amazing rendition of Louis Armstrong’s “what a wonderful life,” and over the rainbow. Don’t skimp out on your first ukulele, if you intend to buy one to learn on you need to consider that buying cheap will reduce your chances of learning to play significantly. What you will also get when you invest in a quality item are exotic woods and materials that enhance the sound, some nice cosmetic features that make the uke nice to look at as well as play. You get solid wood and in some instances electronics for connecting to an amp. The bottom line is that in Ukulele’s there is little room for movement, so the more you spend, the better the uke. However, you don’t need to buy a custom built uke, what you need to do is just avoid cheap ukuleles that deliver construction issues, structural integrity, loos fitments, bad sting alignments, and cheap materials. If you buy a really cheap ukulele, you will end up being discouraged and will end up throwing it away in frustration. 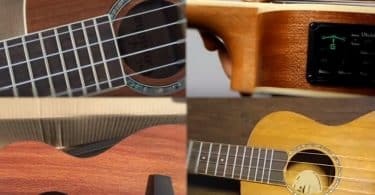 A final word about soprano ukulele’s, they are the tinkly models, and some people find their tone not as rich as a baritone or tenor model. Don’t be discouraged, the soprano model is the original ukulele model and is made for a specific musical score. I always recommend starting with a soprano to fully appreciate the performance of uke and then move onto other models.